The Charleston BalletPurchase Your DVD Today! 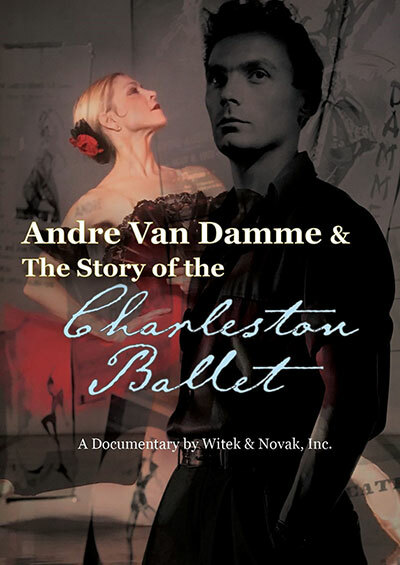 Three-time Emmy Award winning documentary film maker Deborah Novak and the Charleston Ballet tell the story of one of the 10 oldest ballet companies in the United States in the 2018 release of “Andre Van Damme and the Story of the Charleston Ballet”. This film follows the journey of Charleston Ballet founder Andre Van Damme, from his roots in the Brussels Royal Opera, his journey to America and the manifestation of his vision for a professional ballet company in 1956. Novak weaves a tale of dedication, passion and an enduring commitment to enriching the cultural life of our region. The film is approximately 1 hour long. Please enter the number of DVDs you would like and then press the Checkout button. You will be able to review your order before it's placed. You may also purchase by phone (304) 342-6541, or in person at the ballet studio. NOTE: There is a $6.00 shipping and handling fee on all orders.